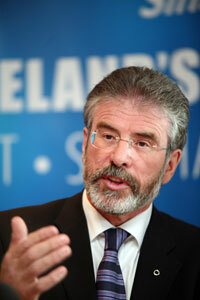 Sinn Féin President Gerry Adams MP addressed the National Congress of Ógra Shinn Féin in Cork on Saturday, 6 December. This is what he said. Go raibh maith agaibh as an seal le bheith ag labhairt libh inniu, ag comhdháil Ógra Shinn Féin agus tá fáilte romhaibh uilig anseo fosta. These are exciting and challenging political times, globally and nationally: the first African-American president has been elected in the United States; the Peace Process and an all-Ireland agenda are transforming society; and we are on the countdown to the 100th anniversary of the 1916 Rising. The political climate is changing rapidly and I firmly believe that we are closer than at any time in our history to achieving Irish reunification. Next week marks the 90th anniversary of the 1918 general election. That election shook the British and Irish establishments to their core. It marked the beginning of the end of British rule in part of the country. It was a demonstration of the power of politics and the power of harnessing people from every corner of the island demanding change. That is the template for this party. It means ensuring a Sinn Féin voice in every elected body on this island. It means an Ógra cumann in every third-level college. It means an Ógra presence on every internet forum, blog and social networking site possible. It means Ógra Shinn Féin being in the lead on campaigns on Irish unity and against education cuts and making Irish republicanism relevant to young people across the island in this changing world. And, equally importantly, it means you, as future leaders of this party, making your voices heard as we move forward. Caithfidh daoine óga na tire seo an seal a glacadh chun ceachtanna a thabhairt do polaiteórirí ar fud an oileáin. Sibh a bhfuil mar ceannasaíocht an phairtí sa todhchaí. On 21 January, Sinn Féin is holding a major event in the Round Room of the Mansion House to mark the 90th anniversary of An Cheád Dáil. I want to encourage all of you to attend. It is important that we mark this occasion. It is important that we debate the politics of the Proclamation and the Democratic Programme. And, more importantly, we need to make Irish unity a reality. For several weeks now, the Taoiseach has been meeting with EU leaders to outline to them the Government’s roadmap in relation to the Lisbon Treaty. It is worth noting that the discussions have been about their plans to overturn the people’s verdict on the Lisbon Treaty at the behest of the EU’s political establishment. It is quite astounding that EU leaders, officials and ambassadors all now know the Irish Government’s plan but the electorate has yet to be told. There are obvious reasons for this. The Fianna Fáil and Green Party government does not agree with the people in relation to the rejection of the Lisbon Treaty. They have not sought to have the Treaty renegotiated but have spent the last six months trying to find a way around it. This morning’s briefings in the media suggest that the Government intends to re-run the Lisbon Treaty in October 2009 on the basis of promises about guarantees that a small number of issues could be dealt with in a future treaty. This is totally unacceptable. The Lisbon Treaty was rejected by the Irish people because it is a bad deal for Ireland. It needs to be renegotiated to definitively address issues like neutrality, sovereignty over taxation, public services and workers’ rights. It needs be about maintaining Ireland’s political strength in the EU. How the Irish Government and EU leaders deal with this issue will be watched carefully by tens of millions of people across the EU who have deep concerns about the direction that an elite within EU institutions is trying to take. The Government’s mishandling of this issue is mirrored by their mishandling of the economy. Is léir dúinn uilig, go háirithe daoine óga agus seándaoine nach bhfuil suim da laghad sa rialtais sna rudaí is tabhachtaí is é sin oideachas agus cúram sláinte. Though the international credit crunch and subsequent global downturn is a major factor in the current economic crisis, the Irish Government’s mismanagement of the economy, particularly during the boom years, has left the 26 Counties more vulnerable to the global economic crisis than other states. Instead of dealing with this crisis properly, the Government rushed through a totally unjust Budget, attacking schoolchildren, the elderly and working families. And then, instead of taking responsibility for their actions, they are blaming the ordinary people of this state and telling them to stop living beyond their means. The fact is that the level of inequality here is almost as bad as it was in the mid-1980s and hundreds of thousands of families are struggling to keep a roof over their heads and food on the table. Over the last few weeks, more than a hundred thousand people have taken to the streets to protest at the Government’s savage cuts. The farmers, the teachers, the elderly and the students have all made their voices heard. I want to commend all of the young people in Ógra Shinn Féin and in Sinn Féin cumainn in colleges for the involvement in the anti-cuts campaign. You need to be playing a full part in your communities and in your colleges and take this campaign to the gates of Government Buildings. Today in Dublin, thousands of parents and teachers have taken to the streets, as they did in Cork two weeks ago, calling for education cuts to be reversed. The Government is under pressure because the decisions they have taken are fundamentally unjust. They promised not to attack frontline health and education services in the Budget – but that is exactly what they did. The first people to suffer as a result of their ineptitude are those who can cope the least. I know that there are serious challenges facing the economy but I firmly believe that these challenges can be overcome. The Government needs to put in place a three-year job-creation strategy to get people back into the workforce. There needs to be investment in infrastructure so that competitiveness can be improved. There needs to be support for small businesses who are suffering as a result of the crisis in banking. And there needs to be radical action to address the serious shortfall in public finances. Now is the time to invest in schools and housing. Now is the time to ensure that it is those who can afford the most pay the most. Now is the time for innovation and imagination. But to bring this about will require change. And young people have a duty to help bring change about. We often hear from the Establishment media and parties that young people are not interested in politics – that they don’t vote. In other words, lip service can be paid to their needs. This is nonsense. Young people may not be interested in the stale politics served up by Establishment parties but many young people are interested in politics and the way it impacts not just on them but on the environment and society we live in. Whether it has been campaigning against the invasion and occupation of Iraq, or demanding action on climate change, or standing in solidarity with the Palestinian people – young Irish people have stepped forward and will continue to do so. This needs to intensify in the time ahead. Look at the impact young first-time voters had in the US election. Barack Obama offered a new vision: a vision of a changed America. It resonated with young people across the United States. It motivated them to register. It motivated them to stand for hours in queues and it motivated them to vote. For the first time, many saw the power of the vote and they became agents of change. There are more republicans on this island today than at any time in our history. We need to turn these republicans into activists. Ógra needs to meet next year in a hall twice this size and filled to the rafters. More activists, means more activism; it means shortening the road to the Republic. Young people have always been central to the republican struggle. Next year marks the centenary of the formation of Na Fianna Éireann by Countess Markievicz and I know you have planned a series of commemorative events. But in 2009 you have to find your place in this struggle. You have to assert your view. You have to lead. Next year we are facing into local and EU elections. We will be the only Irish political party fighting seats in all 32 counties. These are important elections. 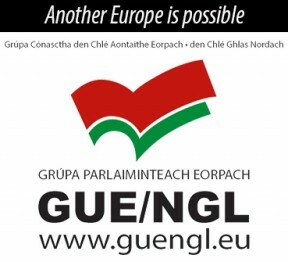 Ógra has an important role to play. Ógra needs to present young people with an Irish republican vision which appeals, which is relevant, which is rational, and which can work. It was Brian Keenan who said that wish lists are for Christmas. He was right. What Ógra need to do is take the vision for a new Ireland – for the Ireland we all want to live in – and then put together a programme which takes young people there. It is that edge which will make our politics appeal. Positive change is never inevitable. Apartheid didn’t end because it was wrong. It ended because people strategised and organised and worked for that objective. Partition will not end because it is wrong. It will end because people strategise and organise and work to end it. The changes which are required to bring about tax justice or fairness or democracy in the economics of this state or across the island will not happen if it is left to the conservative parties. Equality will only be secured by the development of relevant, commonsense alternatives to what passes for politics at this time. That is alternatives which are relevant and credible to people – to their daily lives. That is our responsibility to make republicanism relevant in modern Ireland. Leanaigí libh agus beirigí bua!